When the 2018 season began for Nick Madrigal he was the top college bat in the draft. Things have changed a bit on that, perhaps, depending on who you ask. As a freshman, Nick Madrigal played a large majority of the season for Oregon State. He hit .333/.380/.456 with more walks, 15, than strikeouts, 14. He was one of the better hitting freshmen in the country, though he didn’t show much power. In the 2017 season he established himself as one of the better hitters in the country, posting a .380/.449/.532 line for the Beavers. His power went up, hitting four home runs in 60 games, and he drew 27 walks with just 16 strikeouts. This season hasn’t gone as well as hoped for Nick Madrigal, but only because he’s missed significant time with an injury. Early in the season he broke a bone in his wrist sliding into home plate, causing him to miss nearly two months. He’s only played in 26 games this spring, but he’s made them count. The second baseman has posted a .435/.496/.620 line with 11 walks and just 4 strikeouts in 123 plate appearances. Hitting, hitting, hitting. That’s what leads the scouting report for Nick Madrigal. He’s got the best hit tool in the entire draft. He has strong bat-to-ball skills, and makes tons of contact. The hit tool, however, isn’t his only big skillset. Madrigal is also a plus runner, and he’s stepped up his ability to steal bases this season, going 8-for-8 so far in stolen base attempts. Defensively, he’s a quality second baseman. That may be underselling it a little bit, as there are some who believe there’s a chance he could slide over to shortstop as a professional. His arm only grades out as a 50, according to MLB Pipeline. That’s bottom of the barrel as far as shortstops go at the highest level. While at Oregon State he’s been a second baseman the entire time, though the guy that’s played shortstop is a quality prospect himself. The big question with Nick Madrigal is his power. He’s hit seven home runs in his college career. He projects to have below-average power, and he’s currently below that. He’s a strong defender up the middle, even if it’s at the position up the middle of the least value. There’s going to be value on the bases, too. And of course, everyone seems to think he’s going to hit for a strong average. What’s to be concerned about with Nick Madrigal? Listed at 5′ 8″ and 165 lbs, Nick Madrigal is very undersized for a professional athlete. There are small guys in the Major Leagues right now who are quite successful. Jose Altuve is shorter, but also thicker and stronger. Dee Gordon is taller, 5′ 11″, and only a little bit heavier these days. Mookie Betts, is listed at 5′ 9″, and he’s listed at 180 lbs. Smaller guys can have success. But, we tend to remember the guys that do it, and never hear about all of the guys that size who don’t. The lack of power, perhaps due to the size, can be a bit concerning. In the Major Leagues it’s very rare for a guy to be a valuable hitter without hitting for power. It’s possible that Nick Madrigal can be that kind of outlier player, but it seems risky to bet on someone being an outlier when you are selecting at the top end of the draft. Does Nick Madrigal fit for the Reds? 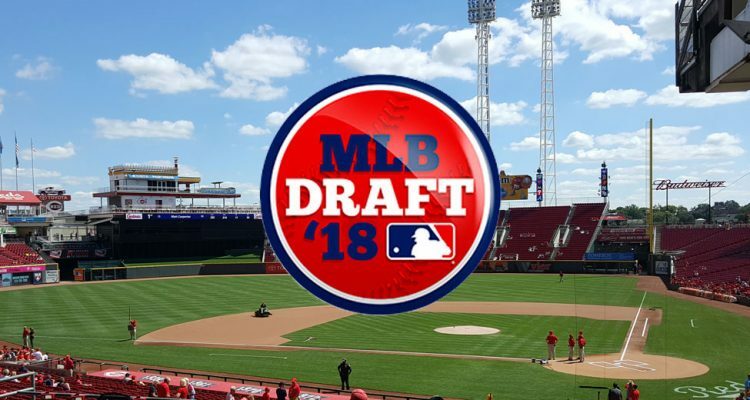 If you are a believer that a team should draft for need, then no, a second baseman that should move quickly isn’t a fit for the Cincinnati Reds. Second base is the deepest position the team seems to have right now. But, if the team believes that Nick Madrigal can play shortstop (and not that there’s a chance, but actually believes it’s a near certainty), then that would fill a big need. Personally, I’m on the “don’t draft for need, and take the best player on your board”, guy. That does seem to be how the Reds have approached their drafts under Chris Buckley, too. There’s a chance he could be there at #5, but he could go earlier, too. Could be all smoke but the White Sox been all over him i heard mayb Gone but who knows really lol. No one on any message board knows. Kevin, this is not an attack or trying to be nasty. But respectfully request that you make an attempt to write your comments a little more grammitical. I love reading every single on here but just skip right past yours because they are almost unreadable. Again, I am not trying to be an a-hole. I see a mistake on your sentence. Nobody is perfect. I’d take him if he’s there and put him at SS and if that doesn’t work, move him to CF, where his tools would fit nicely IMO. If 2B opens up down the line, he could always move back. That 50 grade arm in CF? Yikes. 50 is league average. That’ll work just fine in center. I do wonder if Madrigal could end up in CF if he cant play SS. Either way I would have a hard time passing on him if hes there. The hit tool is very legit. He’s the smallest sure fire MLB star since Dustin Ackley went 2nd to Seattle in 09. Howeva, Ackley’s accolades destroy Madrigal in every manor comparable. He hit over 400 every season with a .996 career fielding percentage at UNC. Ackley was a can’t miss, sure fire, 10x all star who never could make it as a pro because his skill set peaked in college. Madrigal is a poor mans Ackley- run from this guy! Hmm could be Right and seager his teamate is better as a Pro. You can find a stud college pitcher that never panned out. Same for a high school hitter or pitcher. Nothing is absolute. So comparing 5’8 and right hand hitting Madrigal to 6’1 left hand hitting Ackley is useless. The only similarity is that they both played second base. I wouldn’t use position as a comp for hitting. I have no idea if Madrigal will make it or not, but saying Ackley didn’t turn into a stud means stay away from this guy seems absurd. Yeah your comparison is pretty absurd. I’m comparing credentials/hit tool/projected defense/position and size. Ackley reigns supperior in every aspect and they play same position. He’s to small for the bigs and will never make it. Guys who were more highly regarded and more accomplished than him likely Ackley- failed. It’s a waste of pick at 5. REALLY hoping this is who the Reds end up with. They can find a place to play him. The bat seems special. I don’t know… Not saying the bat isn’t good but it just doesn’t excite me at a #5 pick. Seem like we have a lot of guys who can make contact but very little power. Would love to target more of a pure SS with power and size. Look at some of the elite SS in the league: Correa 6’4″ 215lb, Seager 6’4″ 220lb, Turner 6’2″ 185lb, Lindor 5’11” 190lb, Story 6’1″ 210lb, Gregorius 6’3″ 205lb, Torres 6’1″ 200lb.. At 5? 8? & 165 lb Madrigal is very small. Of course he will pack on some lbs but only some. He a better fit for second and we have a log jam there. Senzel for SS! He fits that mold. I can’t imagine he is worse than peraza who is a below average defender. The bat is legit. The Reds need bats. A natural 2B with great defense. I’d go with that at #5 if he is there to select. Hard to say what the top-4 teams do ahead of the Reds, now that the buzz on Mize is slipping a tad bit. All 4 teams could take Madrigal and all 4 could pass. Same now with Mize it seems. As it stands today, it looks like Bart will go either 1-1 or 1-2. And that Philly will go with Bohm at 1-3. If the Tigers don’t take Bart then it looks like SF will, so say the reports. So it looks like the White Sox at #4 are going to be the wild card. Hard to see the White Sox selecting Madrigal with Moncada as their 2B of the future, and Anderson at SS. But it is said the White Sox selection will most likely come from the college ranks. If not Madrigal, maybe Singer, or India, or Swaggerty, or Larnach. The Mets seemed poised to take India at #6 if Chicago passes and Cincinnati passes. Larnach (Oregon St. RF) or Stetson RHP Logan Gilbert are both of my sleeper picks for the Reds at #5. Larnach is the one carried most of the weight for OSU while Madrigal was injured. They are both top-10 or top-12 projected at this time but could rise up more in the last week and a half. Either would help the Reds with an under slot deal to go #5 and help with an over slot deal for the Reds second round pick at #47. Maybe some things will start to gel soon at the top of the draft. Way too much uncertainty at the moment. BTW, I think Mize and Singer both pitch in the SEC tourney this evening. Kind of like if Jesse Winker could play around the infield. I don’t know if that good eye will matter much if teams don’t have to worry about his power. Look at Peraza and Hamilton. See what is becoming of Winker at the moment. Sort of backing away at this point. Tough to call this draft full of can’t miss prospects. Don’t know I’d feel much better drafting #1 either. If he is like Jesse Winker, he’s like Jesse Winker without his main weaknesses – that he’s a poor fielder and bad baserunner with limited defensive value. A high OBP speedster who could handle SS, 2b, and CF? I’d be happy with that. There’s a huge difference between Madrigal and Peraza in terms of plate approach. Madrigal is an OBP machine against tough college competition, Peraza is an exclusively batting average guy. It’s not a lack of power that limits Peraza’s OBP, it’s his approach. Approach is also what separates Peraza from Winker, not power. In this case I’m focused on Winker’s power, which if it were .500 slg he would be able to get past the fact he’ll never be very fast. I’d consider that his main weakness because it’s eroding his strengths at the plate. Same as Alonso for most of his career. I fear the same with Madrigal. Honestly, when you look at what Van Meter is doing in AAA at 23, that is all I would hope or expect from Madrigal. Perhaps defensively Madrigal is better than anyone else. That would certainly push him back into the conversation. As of right now, top of the draft, I’m looking at significant power potential if I’m the Reds or most teams. I think that is why we see Bart, India, and Bohm moving up. Not sure where the Kelenic rumors have gone, but that was interesting to me. Going to see Nick Madrigal and Trevor Larnach play tonight versus the ucla’s. Luke Heimlich is on the mound for the Beavers. You are right Doug about Cadyn Grenier. The guy is a very good SS and the reason that Nick plays 2nd. If Cadyn was not there, you would know what kind of SS Nick is because he came in as a SS. Nick’s slugging % has gone up leaps and bounds each year. Don’t care about his physical stats, the guy puts the barrel on the ball. and has a 500 bop that is kinda Votto-like. Give us a report tomorrow on Madrigal, Larnach, Heimlich, Greiner and Kwan. 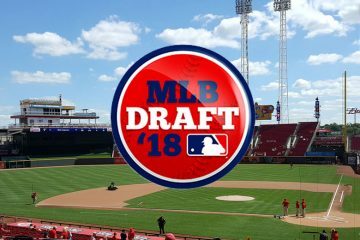 Greiner or Kwan could be good 3rd round picks for the Reds. I really want Madrigal in a Reds uniform. I love how he plays the game and I think he could play up in the OF and Inf. The Reds have some guys that can hit, but they need consistency like this guy brings. I wouldnt Hate taken Nick think to much risk for the Reds with his size hate to mis altuve but rather look elsewhere other than a 2nd basemen. Still on the India Connor scott or Bohm if take a Hitter at 5.